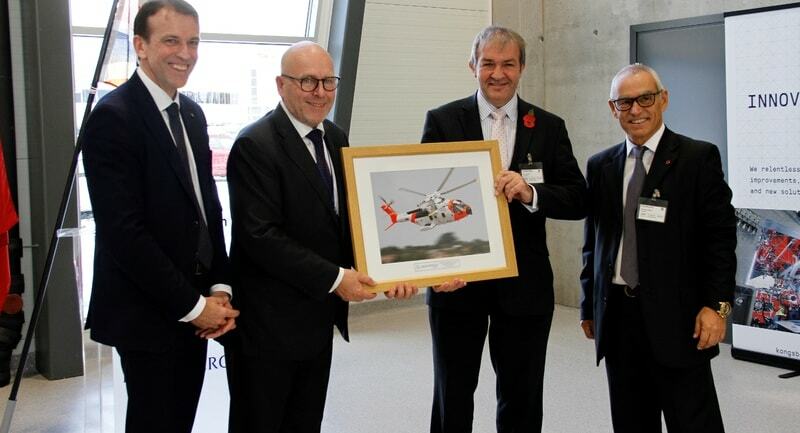 Leonardo congratulates Kongsberg Defence & Aerospace on the opening of its new AW-101 and NH-90 helicopter transmissions MRO and test facility in Kongsberg, Norway. The new facility will provide an in-country capability for the Norwegian AW-101 and NH-90 aircraft fleets as well as supporting other AW-101 and NH-90 helicopters throughout Scandinavia and for other international fleets. A new Multi-Purpose Test Rig within the facility will enable gearboxes to be fully tested before being returned to service, helping to reduce the time and cost of MRO activities. The new facility and the 25 year agreement satisfy Leonardo’s Industrial Participation commitments in Norway for the NH-90 helicopter. The Kongsberg Defence & Aerospace facility will also be an integral part of Leonardo’s comprehensive support solution for the AW-101 Norwegian All-Weather SAR Helicopter (NAWSARH), 16 of which are in the process of delivery.